Want to learn more? Check out our latest video. 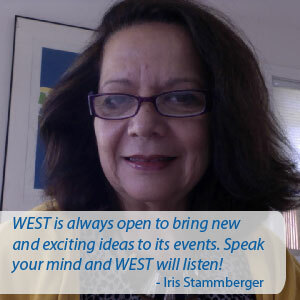 Hear what WEST Members have to say about joining. Individual membership is often tax deductible. In addition, many employers reimburse membership fees for professional or educational organizations – ask! Larger group packages for membership are available. 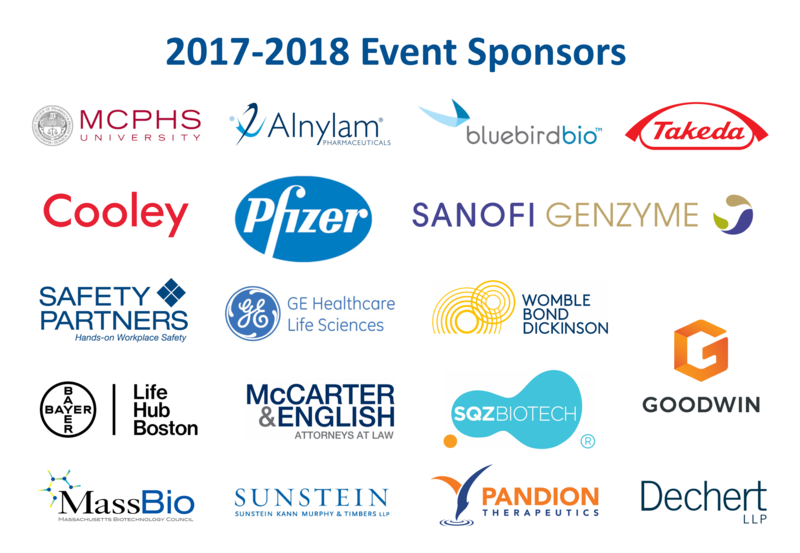 $8,000 – Corporate sponsorship: All company employees can attend WEST events at the member rate for one year, 60 event tickets, 1 onsite “Lunch and Learn” 45 minute professional development workshop, 1 customized workshop/panel, 2 job postings per month on WEST’s website, and acknowledgement at events, on the website, and in newsletters. This sponsorship level is customizable. (2) By Mail: Send a check and your contact information: (name, address, phone, email) to WEST (our mailing address is on our contact page). 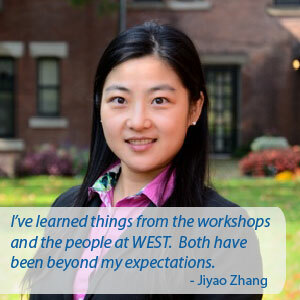 (3) In Person: Join WEST at any WEST event, either by check or credit card. 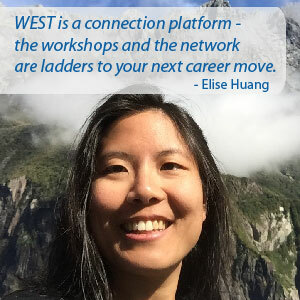 "WEST has given me access to an invaluable network of women with a diverse range of experiences and expertise that I can rely upon for support and guidance in my career." 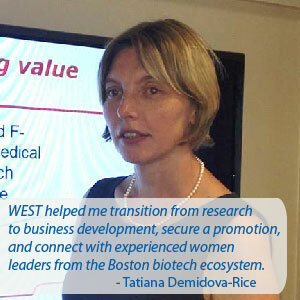 "Entrepreneurism has always been near and dear to my heart. 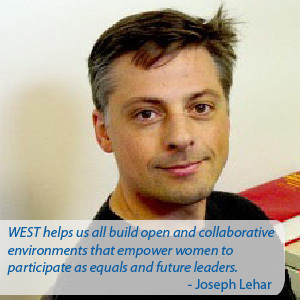 I come from an entrepreneurial family, and besides the emphasis on women, science and technology, it is this spirit of adventure and willingness to take on new challenges that most appeals to me about the WEST community." 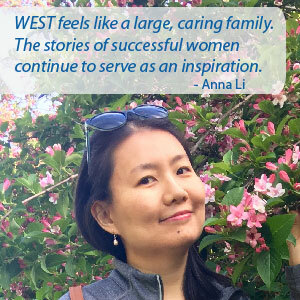 "In the year since I have been a part of WEST, I have connected with many women and formed friendships that I believe will endure over time. 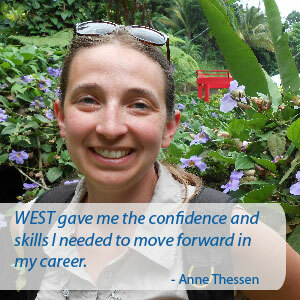 It is great to know I have a strong support network of people I can reach out to." 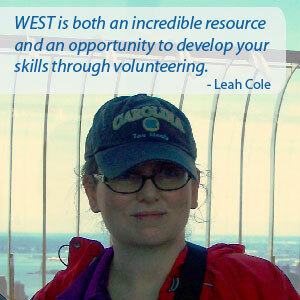 "Not only are the people open and willing to help, the programs and guest speakers are fabulous. 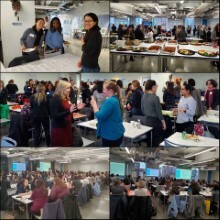 I just attended a resume writing workshop and found it very beneficial. 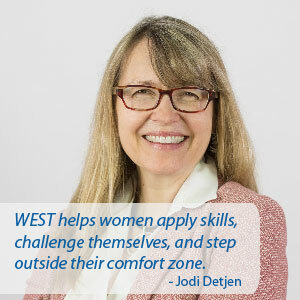 I would recommend WEST to any professional woman seeking to advance her career, who would like to be part of a wonderfully supportive and welcoming community."